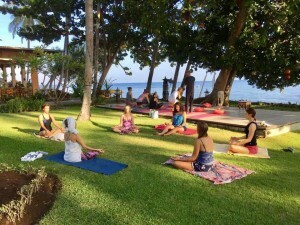 A workshop of exploration through Kundalini Yoga and Chakra Dance. The spine and the human energy field contain chakras, or energy centers, through which we absorb universal life force energy. They each vibrate at different frequencies, holding certain gifts or talents to enhance our human experience. Journeying with these energy centers can show us where we may feel more connected, more aligned, and where we may feel less empowered or aware. In this workshop we will systematically explore, clear and harmonize the chakras through kundalini yoga and chakra dance! Tap into the flow of your life force, so the kundalini energy, the energy of pure potency and boundless creativity, can move through you and SHINE! 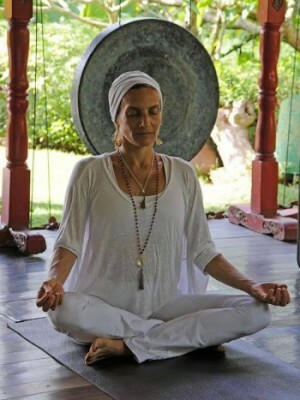 BIO: It is with energetic passion, love and joy that Guruwant Kaur (Daphna) has been sharing the healing technology of Kundalini Yoga over the last 20 years through classes, immersions and retreats both in her hometown of New York, her current home in Bali, and internationally. 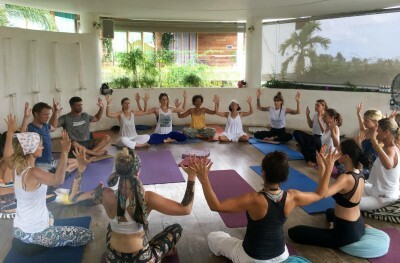 She was the coordinator and producer of the first KRI approved Kundalini Yoga Teacher Training in Bali in 2014, assisting and teaching alongside Guru Dass Khalsa, and since then as well with other lead trainers as part of her path in the Aquarian Teacher’s Academy. She is currently a trainer with KRI. Alongside her path as a Kundalini practitioner and teacher, Guruwant is also a facilitator of Chakra Dance, as well as a certified Phoenix Rising Yoga Therapist. 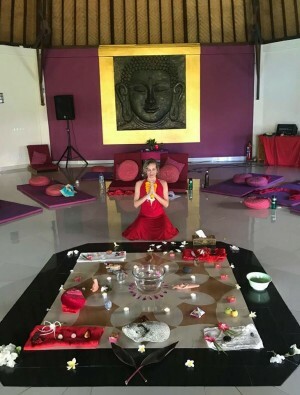 Through personalized sessions of yoga therapy she gently assists the exploration of one’s being, creating sacred space for the release of blockages in the bodymind (opening the mind and spirit through the release of physical holdings and vice versa). Daphna brings to her kundalini yoga sessions a deep respect for, and incorporation of, the body alignment of hatha yoga traditions (she is also a certified hatha yoga teacher) while embracing with great passion and gratitude the the liberating, transformational path of higher consciousness of Kundalini Yoga, believing and teaching that we all have the wisdom, the light and the love within to manifest our highest calling!Wahe Guru! Liberation here and now!